Gamma Construction Ltd is ISO 9001:2015 certified, evidence of our commitment to the highest quality standards. Customer Satisfaction is our priority. Our projects, building and civil engineering works, are delivered on time and to the highest standards. We aim to create wealth for our shareholders and clients by adopting world-class financial management and reporting practices. We monitor our costs on regular basis to ensure that no unrealistic financial burden is passed on to the customers and that we meet our financial projections. Our financial and project teams work in teams to achieve the most favourable results for our shareholders and clients. 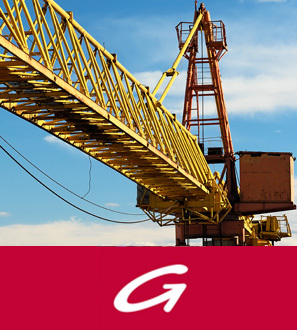 Gamma Construction Ltd is a wholly-owned subsidiary of Gamma Civic Ltd, a public listed company on the Stock Exchange of Mauritius. We adopt world class practices in Corporate Governance to build a financially sound and resilient company. Our board of directors and management team share a clear vision of the company’s purpose and set strategies and challenging objectives to achieve this vision. Gamma Construction Ltd is fully committed towards the health, safety and welfare of its employees and persons involved in its operations. Our most important asset is our people. We strive to create a workplace conducive to our people happiness and growth. Gamma has been in the Building and Civil Engineering business for more than 40 years. Throughout these years, Gamma through its contracting arm, Gamma Construction Ltd has developed a valuable and recognised expertise in residential, commercial and industrial buildings, construction of luxury villas and renovation of hotels. We are also recognised as a major player on the local market in road networks maintenance, building new roads and large infrastructural works, including bridge and morcellement works, and asphalt production. Gamma Construction Ltd has a proven track record in the delivering high number of public infrastructure and private works on time and with quality. We are one of the few ISO 9001:2015 certified Construction Companies in Mauritius. We have a robust quality management system in place ensuring that we can offer products and services to the highest quality standards. The company is registered with Construction Industry Development Board for Building and Civils Works. A wholly-owned subsidiary of the Gamma-Civic Group, Gamma Construction Ltd is one of the leading construction companies in Mauritius, having a superior legacy of public, commercial and private construction achievements.